This kit is designed to position the foot pegs closer to the driver, allowing kids easy accesses to the gas or brake pedal. 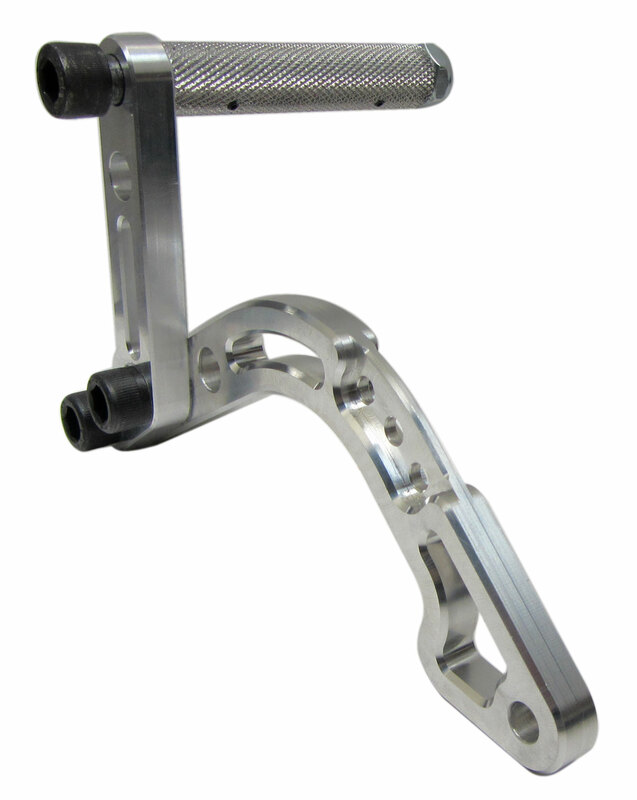 This pedal mount kit is made of high quality CNC Machined Billet Aluminum and works perfect for racing and fun karts. It can be used for the gas or brake pedal. 3 Mounting Hole Locations for height at 5 1/2", 6 1/4" or 7"